The cosy house in Fuschl right at the Fuschlsee Lake offers you the perfect atmosphere and comfort for your holidays. It is especially popular with guests who are looking for an independent holiday accommodation offering convenient comfort. 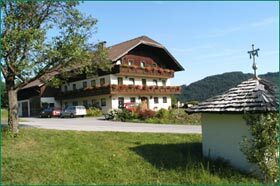 Enjoy your vacation at the breathtaking Fuschlsee holiday resort.